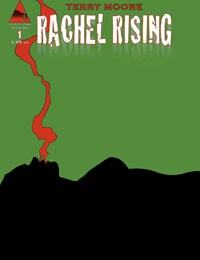 Rachel Rising Average 0.00/5 - out of 0 total votes. Rachel wakes up at sunrise on a shallow grave in the woods and discovers the freshly murdered body in the dirt is her own. With events of the previous night a blur, Rachel seeks out her boyfriend Phillip. But Phillip has a new girl now and Rachel is beginning to suspect she rose from the grave for a reason… revenge!